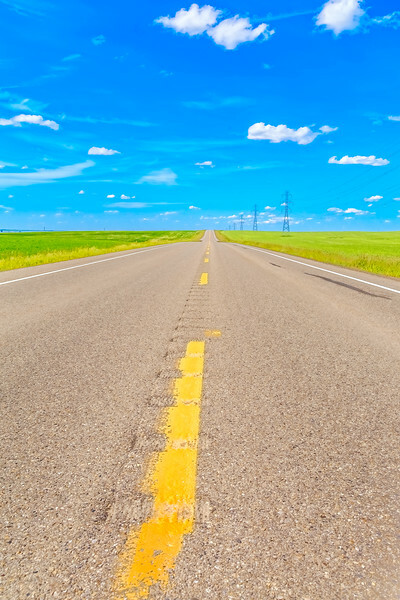 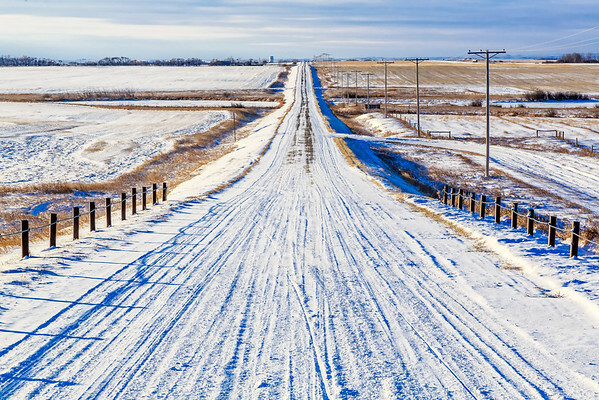 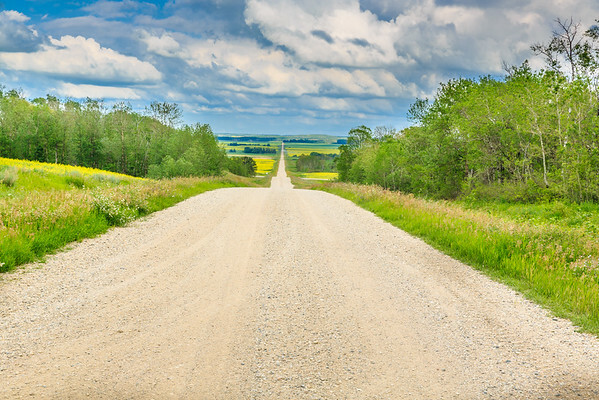 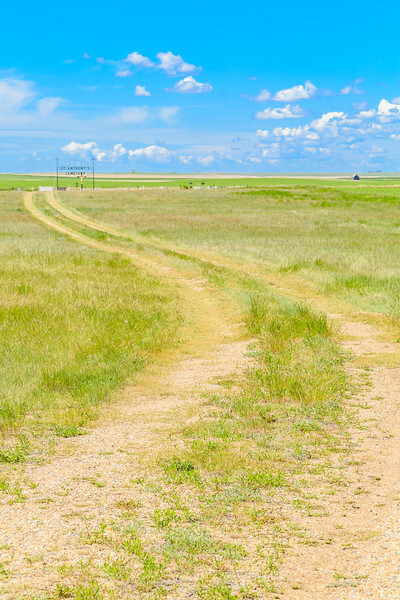 The long straight country grid road across the prairie landscape. 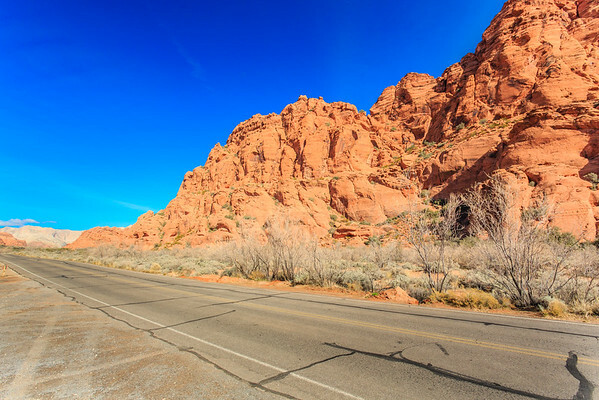 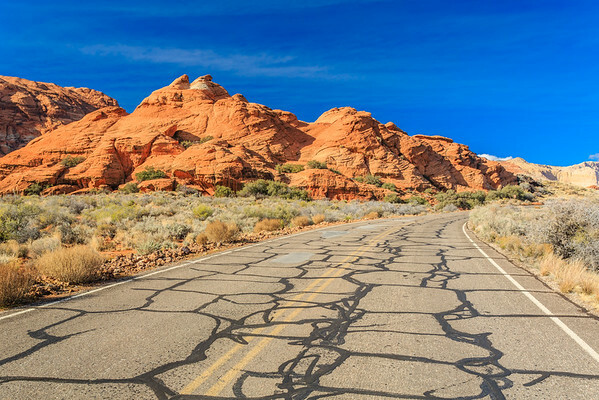 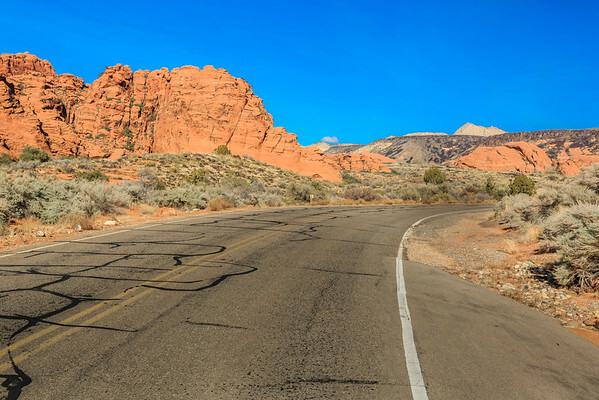 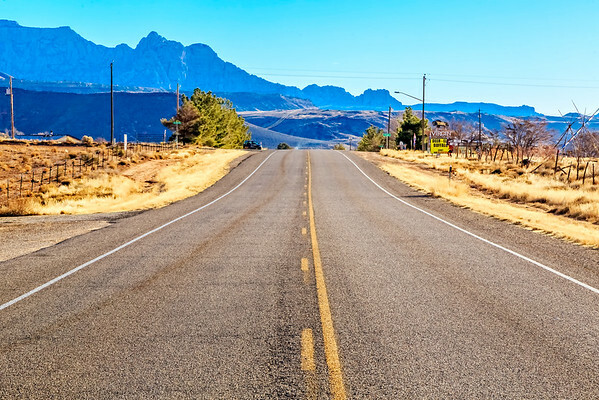 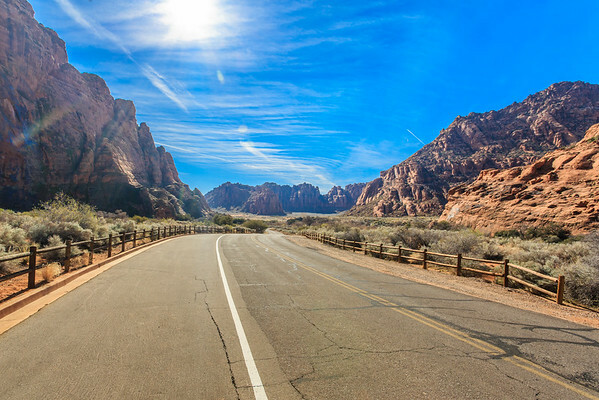 Highway leading into Virgin, Utah with the mountains of Zion National Park in the distance. 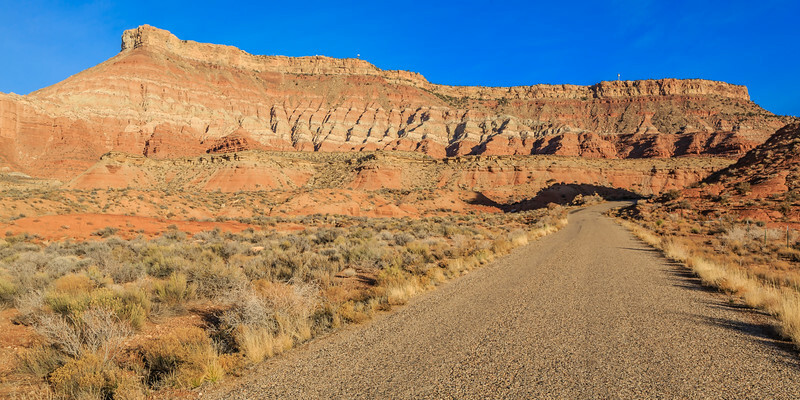 Unpaved grid road through the desert leading to a large mesa in the distance. 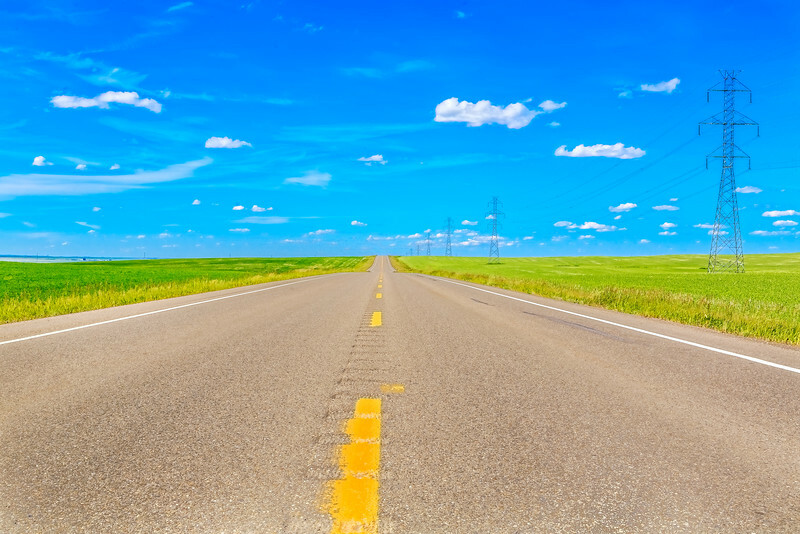 Long road passing over the flat prairie landscape. 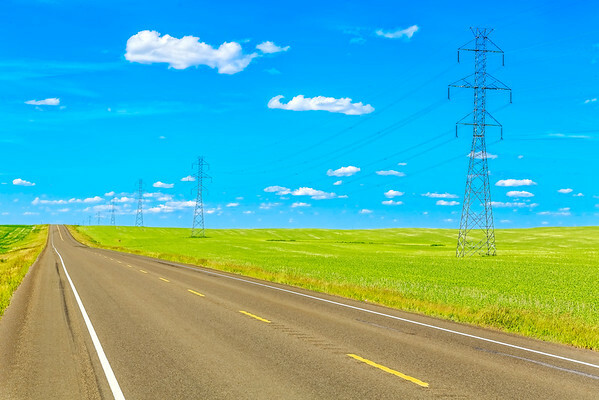 The flat highway also has power towers along the side of it. 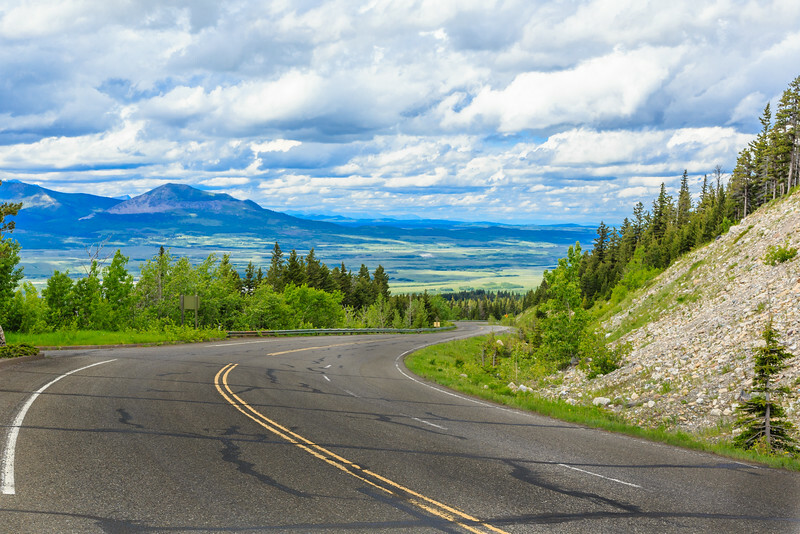 The mountain highway through the Canadian Rockies near Waterton Lakes National Park. 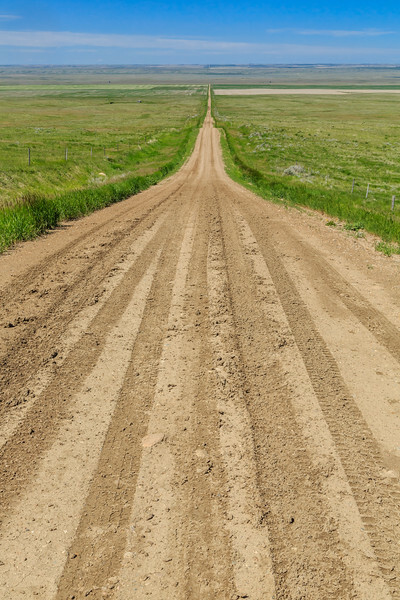 The dirt road leading to a grave yard on the open prairie. 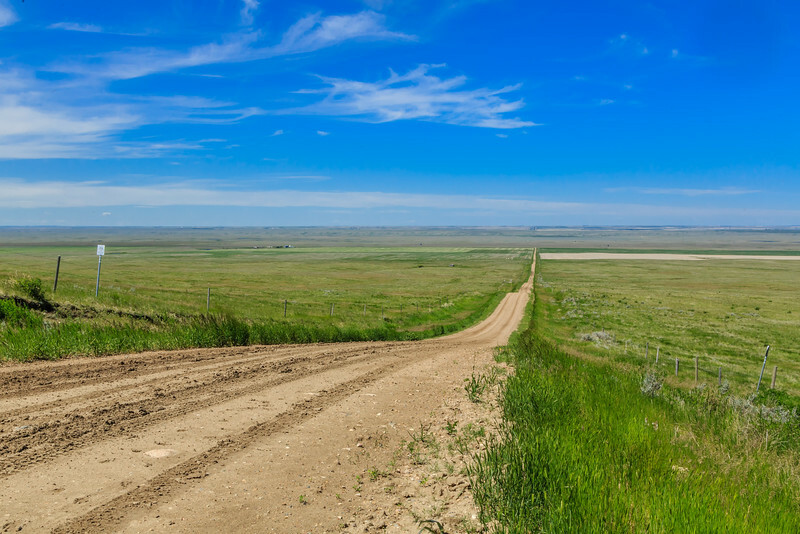 The old dirt road across the flat prairie landscape.